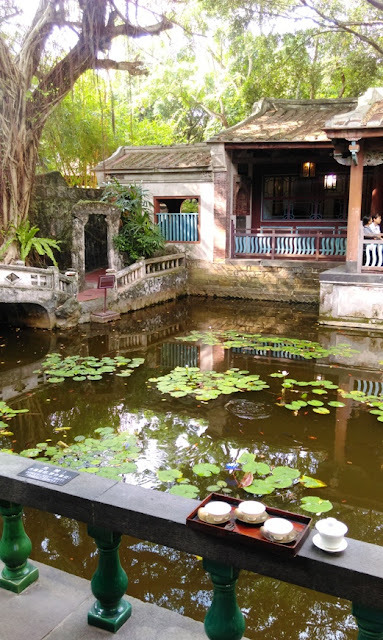 Les jardins de la famille Lin à Banciao renferment plusieurs plans d'eau, comme ce magnifique bassin à nénuphars dans l'ancienne chambre d'études des enfants! (Ce lieu servait aussi de lieu de concert de musique). L'eau est un symbole de fortune dans le feng shui chinois, l'agencement traditionnel des maisons. Et il est donc naturel que la famille Lin, la plus riche de Taiwan lors de la construction de sa propriété, ait fait attention à ce que cette ressource ne vienne pas à manquer. Hier, j'ai même trouvé un nouveau point d'eau dans ce lieu exceptionnel: un dispensateur d'eau bouillante!! 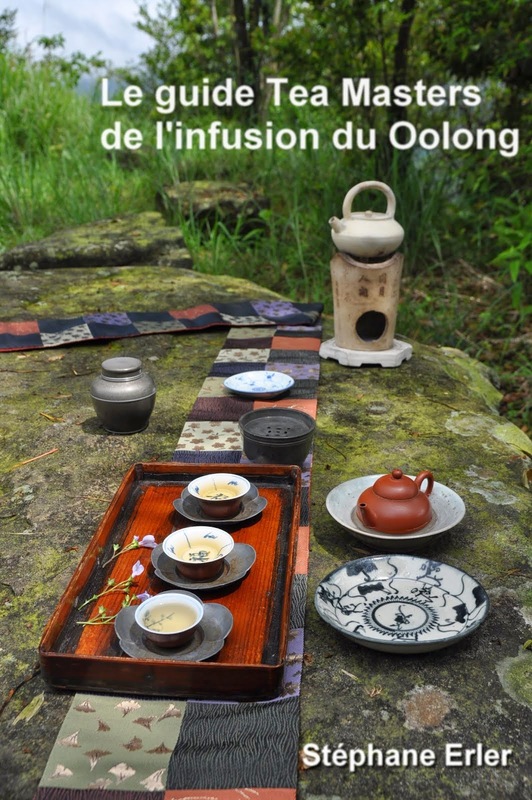 Cela m'a permis d'infuser mes Oolongs sur place. L'impression de plonger dans une toile de Monet! Le Oolong de Da Yu Ling d'hiver 2014 rivalise de beauté en bouche et se montre à la hauteur de la situation. L'ami qui m'accompagne me dit qu'il a essayé une dizaine de gaiwans différents et que c'est celui-ci le plus aisé à manier. Il sait se faire oublier afin qu'on puisse se concentrer sur ce qui compte, le thé. Merci pour ta discrétion. Les meilleurs accessoires, ce sont souvent ceux qu'on finit par ne plus remarquer, tellement ils se fondent dans le geste et l'image. The library of the National Taipei University in San Hsia is currently holding an exhibition about Taiwanese authors and artists who have contributed to the cultural life of San Hsia. Teaparker being of them, the university organized a Chaxi event with Teaparker's students and accompanied by Chinese music. At 3 PM, we arrive on campus and we set up the Chaxi near the Heart Lake. It's a huge Chaxi, because this outdoors stage is very big! Most of the Chaxi was thought of and set up by my friend Evon. But several students contributed to complete it and make the whole event possible. I brought the white Nilu, my bamboo basket and the upside down Jianyang black glazed bowl (see above). The presence of the basket (and most objects on the edge of the Chabu) wasn't just aesthetic, it also prevented the wind from blowing the fabric away! The Sung style bowl served the same purpose, but also had a conceptual meaning: since we were going to use Yuan dynasty style cups, the upside down bowl would represent the overthrown Sung dynasty preceding the Mongols (Yuan). My good friend John helped prepare the water and feed the Nilu with charcoal. (I also thank him for taking the pictures of myself at the end of this post). We would even take turns to brew, making this event a team effort! 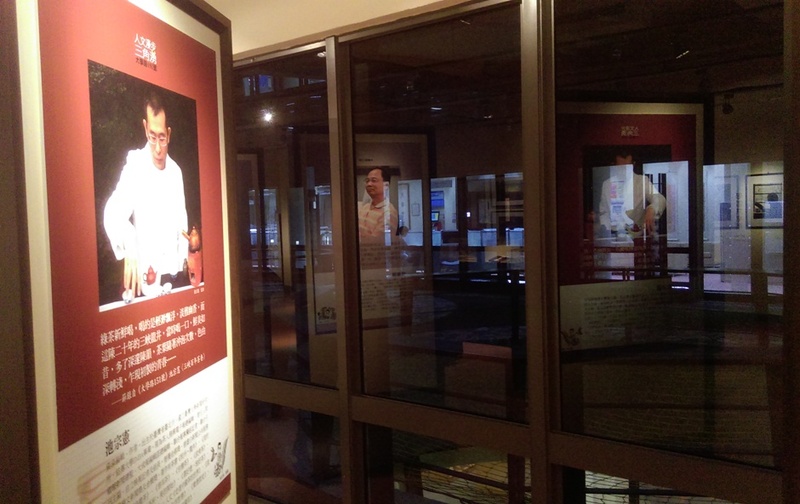 For this special occasion, Teaparker chose 2 green teas connected to San Hsia's tea culture. This is why we used silver teapots and rather big cups for both teas. 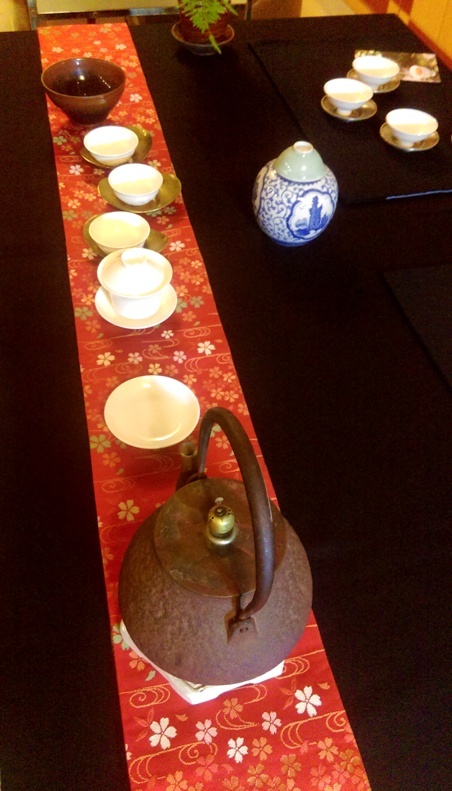 This university sponsored tea event is a great reminder of the connection between tea, culture, history and arts. The word 'university' also makes me think of how tea is 'universal'. 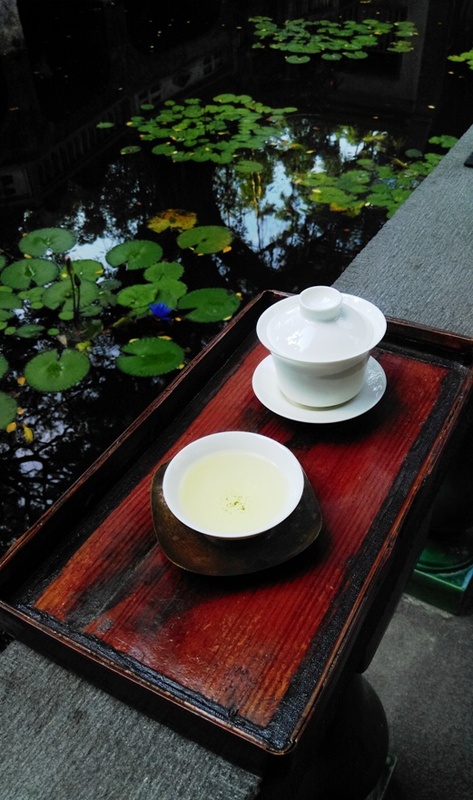 Each Chinese dynasty has created its own tea culture. Even different countries have their own rituals. Tea has no boundaries. On the contrary, tea is freedom and what you want to make out of it. This is the approach that suits me best. 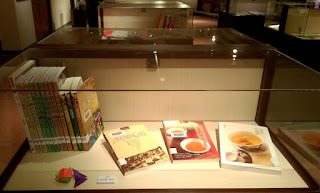 First, learning about the classics and then turning the tea experience into a creative process. 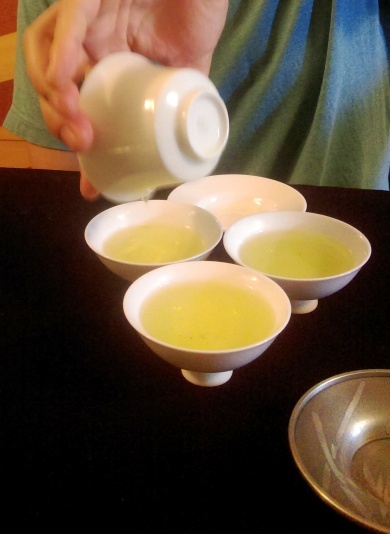 The Chaxi is a playground for tea lovers. Everybody was taking pictures! Red leaves for an autumn feeling. 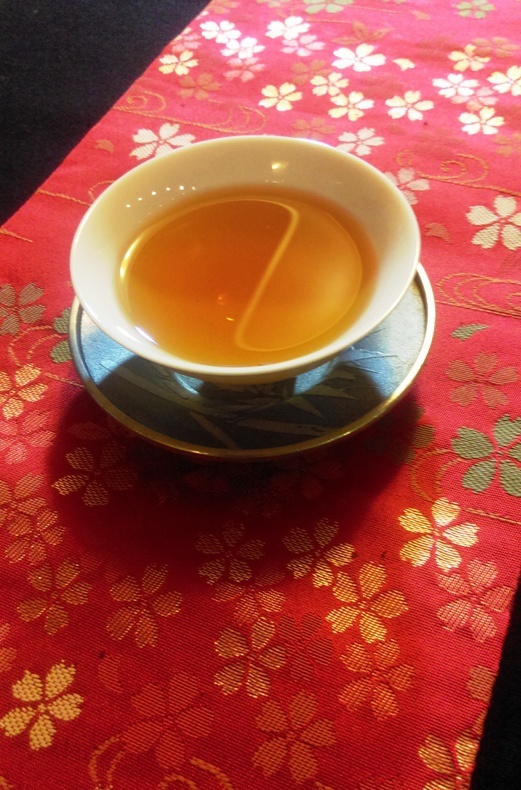 Tea can be connected to almost any subject. Sometimes, it's like meditation. 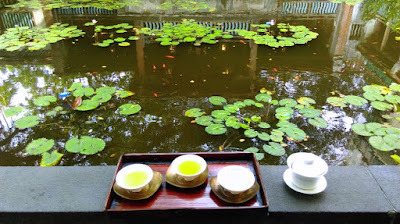 Or it's connected to history: San Hsia started to make green tea at the request of generals of Chiang Kai Shek's army who had retreated to Taiwan and couldn't purchase their tea in Hangzhou anymore. 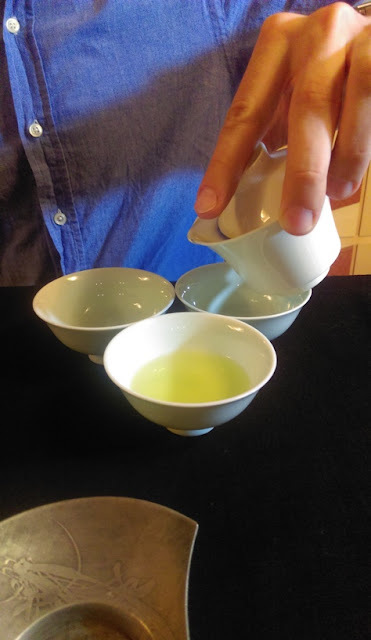 The local qingxin Ganzhong was very suitable for green tea and San Hsia farmers started to make their own Longjing and BiLuoChun in the 1950s! 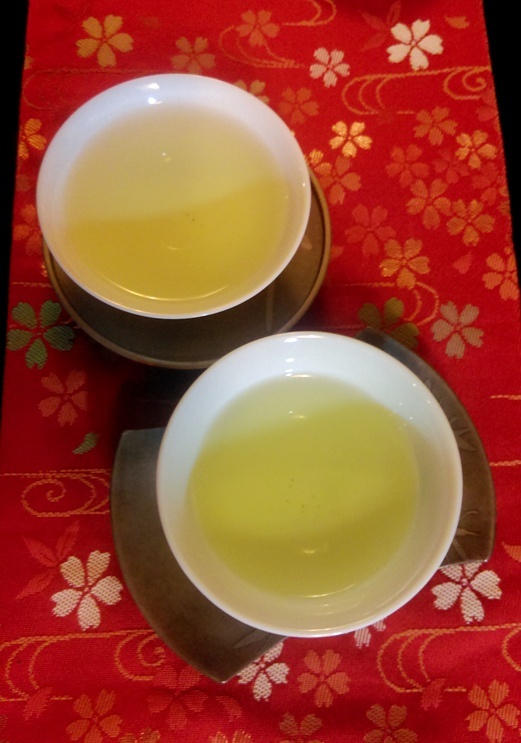 Evon started to brew a 10 year-old Xihu Longjing, the kind of tea the Nationalist generals were longing for! 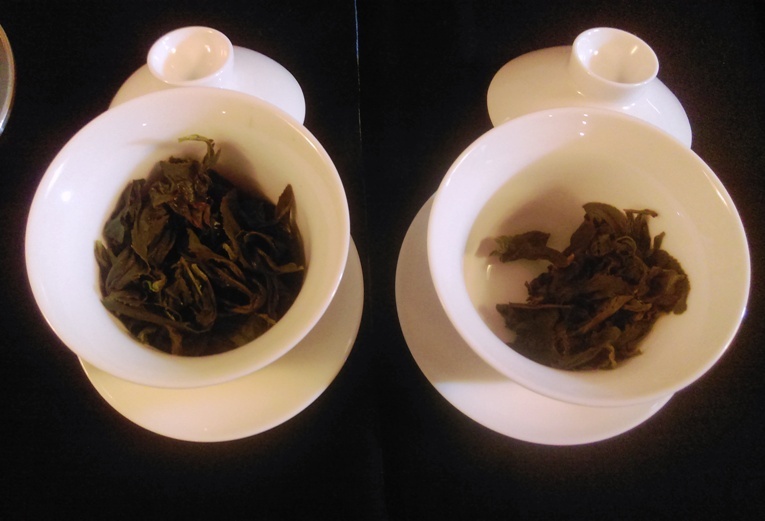 You may be wondering why we would be brewing green tea that is a decade old. The reason is simple and is at the very heart of all our tea pursuit: because it still tastes delicious! Good, dry storage and top quality are the key points. The finest pleasure then comes from finding freshness within these ancient aromas. The tea I'm brewing is even older. It's a SanHsia Longjing from the 1970s! These are the last leaves from Teaparker's stash of this tea. It's an honor and privilege to brew them for our attendees and to have 2 pretty tea friends helping me with the service. That's why you see me dressed up, but not wearing a costume. Even when we are performing in front of an audience, we wish to show that brewing tea with style and technique is rooted in our daily life. No need to wear a certain style of clothes. Just feel comfortable and elegant would be my advice. Since we are outdoors and can't wash the cups and teapot properly, we decided to use a different tea set for this second tea. 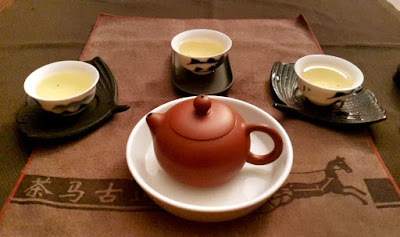 A silver teapot, plated with gold, Dehua porcelain dragon cups and silver cha tuo. The smell of the tea is sufficient to trigger salivation in the back of my mouth! It seems to dance with freshness and warmth, a little bit like this day of October. It's difficult to describe the complexity of these contradictory, but pleasant aromas. This difficulty in describing this intense pleasure of such a tea experience creates a mystery and a space for your imagination. This may lead to poetry, creativity or even spirituality. 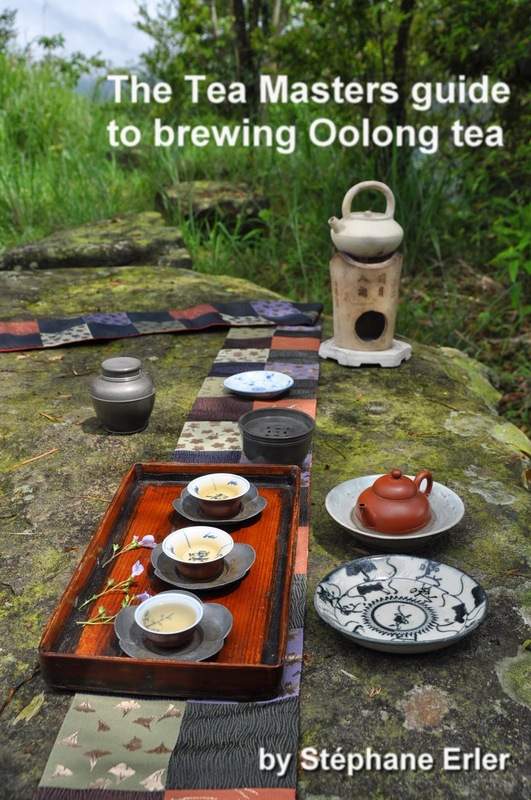 "What you do with tea is different for everybody", I remember a tea friend saying to me recently. It's rooted in culture, traditions, education. What doesn't change is the search for quality leaves and brewing them the best possible way. 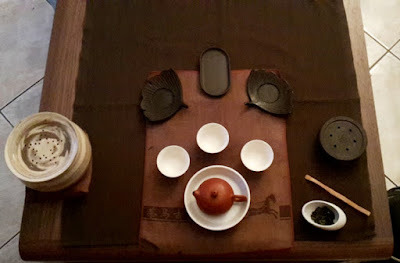 This is how a partial cloudy autumn afternoon in San Hsia can turn into a tea event seen and discussed worldwide. Tea knows no borders. Tea is universal. C'est fait! Je me suis mis sur Facebook et vu le temps que j'ai passé dessus ce weekend, je comprends l'aspect addictif de ce support. Mon seul bémol: il y manque des beaux Chaxi, mais nous allons y remédier! Et pour fêter cela et le début de l'automne, c'est tout naturellement que je vous offre 10% de remise sur tous mes puerhs. After the clays and the clay making, let's examine how Yixing teapots take shape. As part of this lecture, Teaparker asked the students of the Tea Institute to draw the same Xishi teapot from where they were sitting. This exercise forces them to look at the teapot very carefully and see its details. The actual making of an Yixing teapot can be seen on this video. 2. Petal shapes (pumpkin or flower shaped). 3. Inspired by nature. Let's see a few examples of this style. See the handle of this teapot: it looks like bamboo. And the spout looks like the branch from a tree. 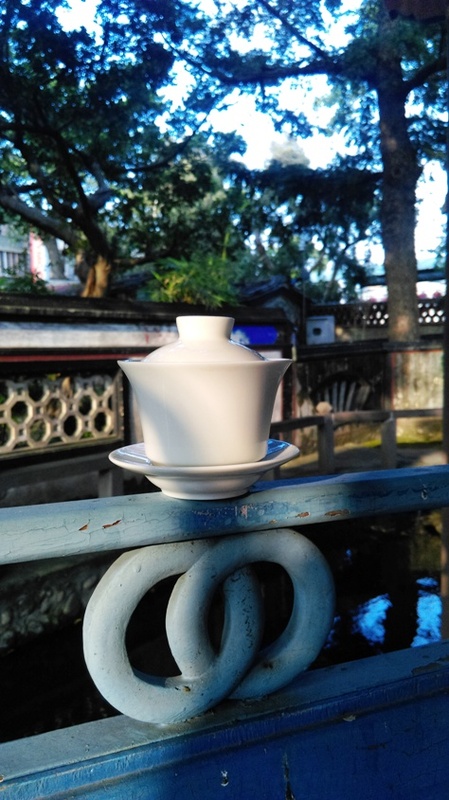 This Jianquan teapot dates back to the early 20th century. Beside the painting, we can also see that some decoration (a branch of a pine tree) has been applied on the body of the teapot. And on the cover, it's plum blossoms that come alive on the otherwise dead branch! 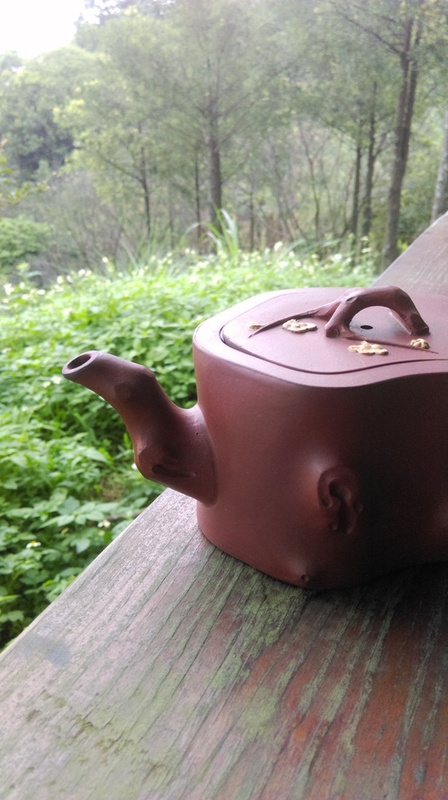 This style of Yixing teapot, based on a log from tree, is a good example of how Yixing teapot makers have been using the same shapes for a very long time. Sometimes, it's adapted to a certain fashion, like the coloring of some important parts of the teapot on the previous and this teapot. An important principle to study ancient Yixing teapots is to head to the museums where the origin and date can be most trusted. For this log and plum flower shaped teapot, I could find a very similar piece from the 19th century online from the Freer and Sackler Galleries. The details of this younger teapot are nicely executed but the inside of the teapot still needs some brushing. The following zisha teapot, however, starts to shine naturally as I have started testing it. This clay has a chocolate color that looks so delicious! The plum flowers are not colored, but a different clay is used (duanni). Plum blossoms are the rare flowers to bloom in winter. Here, the winter is represented by a log, a piece of wood without leaves. It's almost dead already (in the winter of its existence), but the plum blossoms (mei) are beautiful. They represent hope, the fact that in the hardest conditions you can still find ways to blossom. These classic shapes continue to be used or reinvented today. This zisha teapot dramatizes the handle and the wood attributes. The plum blossoms are also made with a different, slightly redder clay. These nature inspired teapots have more complexity than most round teapots. They carry also more symbols rooted in Chinese culture! 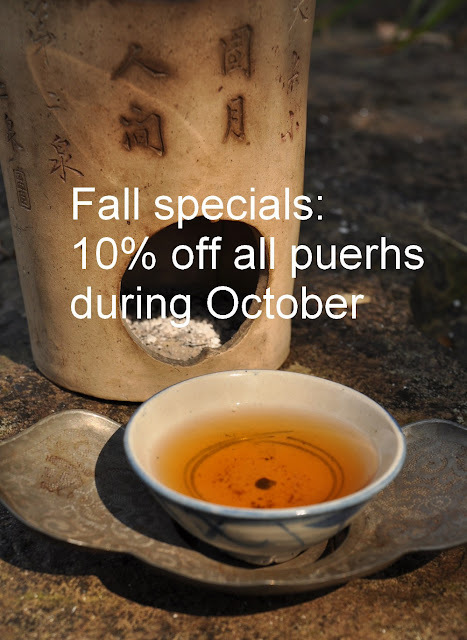 These wood/log shaped teapots are a nice fit for the autumn season! They bring us close to nature and into the woods!